UO researchers in biology, environmental studies, philosophy, education and prevention science have been chosen as winners of 2018 Research Excellence Awards. Presented by the Office of the Vice President for Research and Innovation, the awards celebrate the significant achievement of UO faculty members engaged in research and scholarly activity. This year, seven faculty members are being recognized for research excellence in five award categories. The Outstanding Career Award will go to biologist Judith Eisen and philosopher Mark Johnson. The award is given to tenured faculty members at the associate or full professor rank with a history of distinguished scholarship. 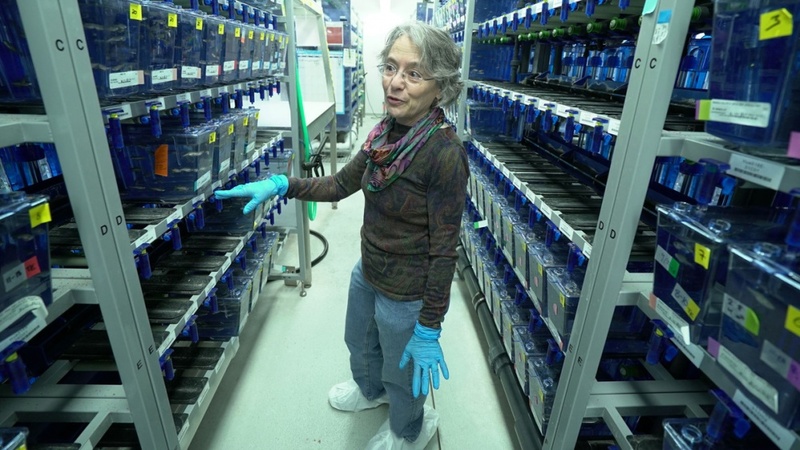 Eisen is a pioneer in using zebrafish as a model to study the nervous system. Johnson is a prolific author who is among the most cited faculty members at the UO. The Early Career Award will be presented to Lucas Silva, an assistant professor in the Department of Environmental Studies, and Kelly Sutherland, an assistant professor of biology in the Clark Honors College. The honor recognizes tenure-track faculty members at the assistant professor rank who have a track record of significant scholarship and emergent recognition. The award for an Outstanding Accomplishment by a Non-Tenure-Track Faculty Researcher will go to K. Brigid Flannery, an associate professor in Educational and Community Supports, a research unit within the College of Education. The award honors a non-tenure-track faculty member engaged in independent research activities. The award for Outstanding Accomplishment Non-Tenure-Track Faculty Research Support will be presented to Allison Caruthers, a senior research associate and project director at the Prevention Science Institute. The award recognizes a non-tenure-track faculty member with a documented record of providing exceptional and innovative technical support to UO researchers. This year’s Innovation and Impact Award will go to Julie Sykes, an associate professor in the Department of Linguistics and a courtesy assistant professor in the Department of Romance Languages. The award recognizes contributions by faculty and staff from any academic discipline for outstanding entrepreneurial activity that has resulted in innovations with a measurable societal or environmental impact. The Research Excellence Awards will be delivered — along with the Distinguished Teaching Awards and Exceptional Mentorship Awards — as part of the Outstanding Achievement Awards ceremony, which happens at 5 p.m. on Thursday, May 24, in the Global Scholars Hall. The ceremony is co-hosted by the Office of the Provost and Academic Affairs, the Graduate School and the Office of the Vice President for Research and Innovation.